Most users of any sort of workshop, be they the weekend hobbyist or the trade professional, will want to spend their time in it as effectively as possible. In an efficient workshop, projects become easier and quicker to make with a dividend of better working conditions and enhanced Health & Safety aspects. Here are 10 top tips which might make the difference between working in tranquil balm or complete bedlam! Very recently, there’s been a series of entertaining programmes on Ch4 about sheds, or more correctly, ‘Amazing Spaces, Shed Of The Year’. Some of the builder’s creations have been imaginative masterpieces covering a huge range of esoteric interests, from a camper van to a Polish mountain drinking den, but the vast majority of people who own a shed will probably have them for either storage, gardening or in our particular case, as a workshop – somewhere to escape the humdrum routine of everyday life and simply make stuff. It may be quite likely that the shed is going to be used for some sort of woodworking activity and if it is, then perhaps the most important area (and one which might be relegated to the back burner) is the issue of wood dust. It shouldn’t be, because Health & Safety concerns (of which dust is a part) are of paramount importance and may impinge on all other activities, both in and outside the workshop. Many common timbers are toxic to a greater or lesser extent, but as will be seen from the information provided by the HSE, a considerable number can also be used regularly without encountering problems. Some time ago on ‘The Knowledge’, there was an Axminster Buying Guide which went some way to summarise the menace of dust and various ways that can be employed to counteract it or remove it from the workshop. A more chilling, graphic illustration appeared in this article which showed the effects of planing and routing for three days. 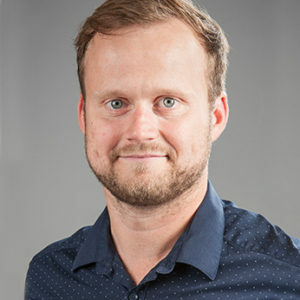 Professional users are no less immune to the effects of wood dust, but fortunately are probably in a working environment where the dangers and solutions are well understood. 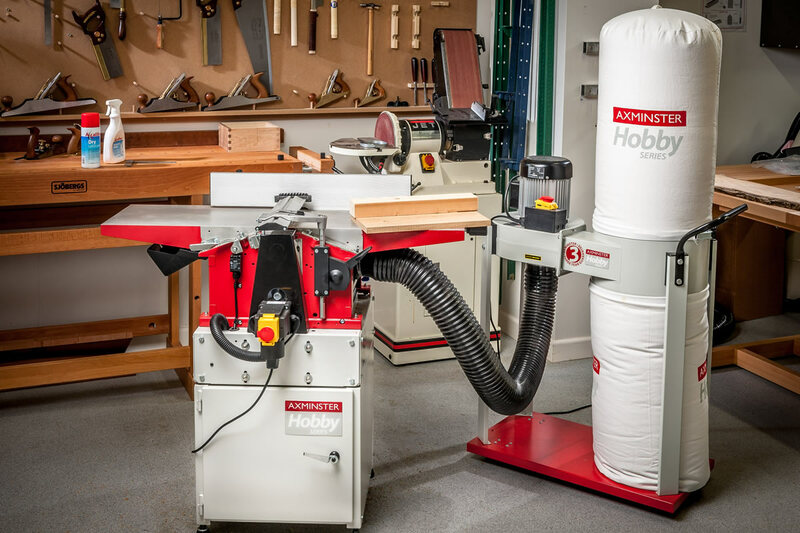 Whether or not you’re a trade or hobby woodworker, dust and debris will always be the number one enemy, but fortunately Axminster has a huge array of equipment to suit either a weekend hobbyist in the garden shed or the professional cabinet maker producing cutting edge furniture in a large, well equipped workshop. 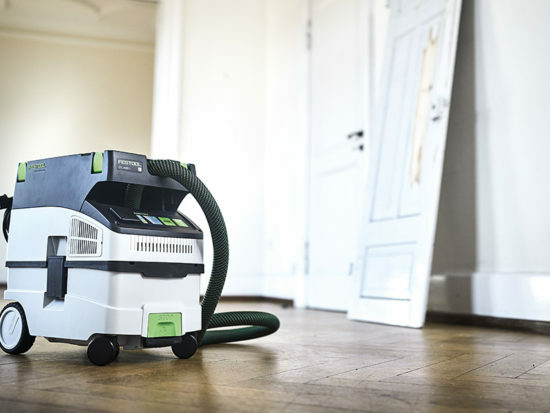 Whatever’s needed to combat the dust menace, find it here at Axminster. 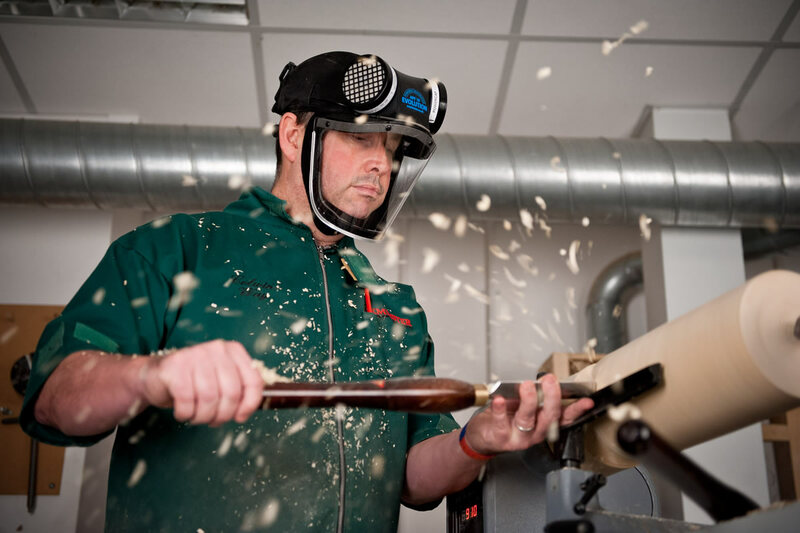 Apart from the purchase of dedicated dust extraction equipment, the hobbyist or professional woodworker should also pay close attention to PPE. Brief mention of dust masks has already been alluded to, but the Axminster full range can be found on our Respiratory Protection & Facemasks page, one item of which is the recently introduced APF 10 Evolution Powered Respirator. If ‘The Force’ is with you, or even if you’ve been left way behind on the starting blocks, it’s worth spending a few moments to read our full review of this quite excellent piece of kit. 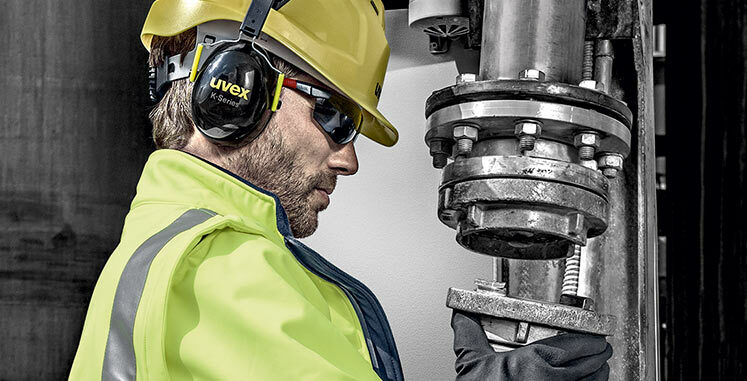 Face masks and respirators are not the whole story when it comes to PPE; there are other factors that need to be taken into consideration which are very much task dependent. The full range, including head, hand, eye and hearing protection as well as other areas which may not be quite so obvious, can be found on this page. 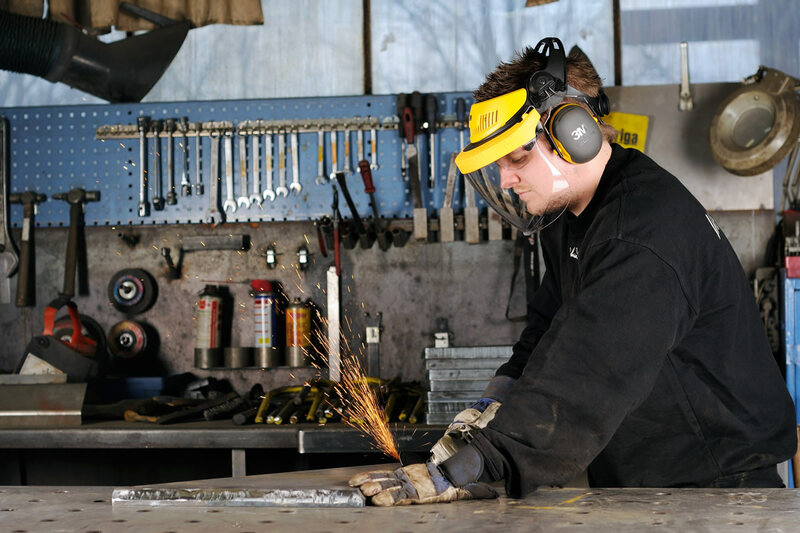 Before starting any practical work, it’s essential to think about proper eye protection, gloves or even perhaps a hard hat which may potentially keep you out of the clutches of A&E! One of the most important factors to improve efficiency is to ensure that the workplace is relatively clean and tidy; this is not to say that it should be dusted daily to a level of pristine perfection worthy of Hyacinth Bucket (pronounced Bouquet), but that unnecessary clutter, jigs, fixtures, piles of scrap and oddments of unused timber should be disposed of from time to time. Removal of unwanted workshop detritus has the effect of releasing space which can then be used to much greater advantage; indeed it might not be apparent that the space was there in the first place! There are other strategies that can also be used to improve the overall efficiency, such as retractable air lines in a professional ‘shop or electrical power blocks that drop down to bench height from the ceiling. These types of products also negate the very obvious H&S risks of trailing cables and air lines. 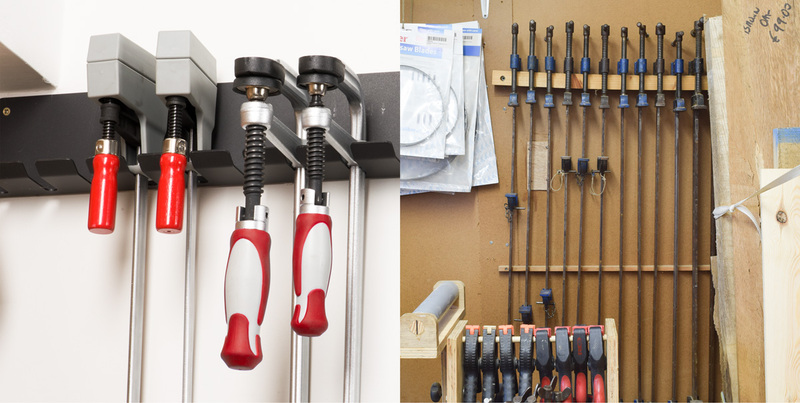 Clamp storage can also be improved as most workshops soon end up with a huge assortment of different types and a movable rack might be very beneficial. Where there’s adequate space, sash and G clamps can be wall mounted using the appropriate rack. 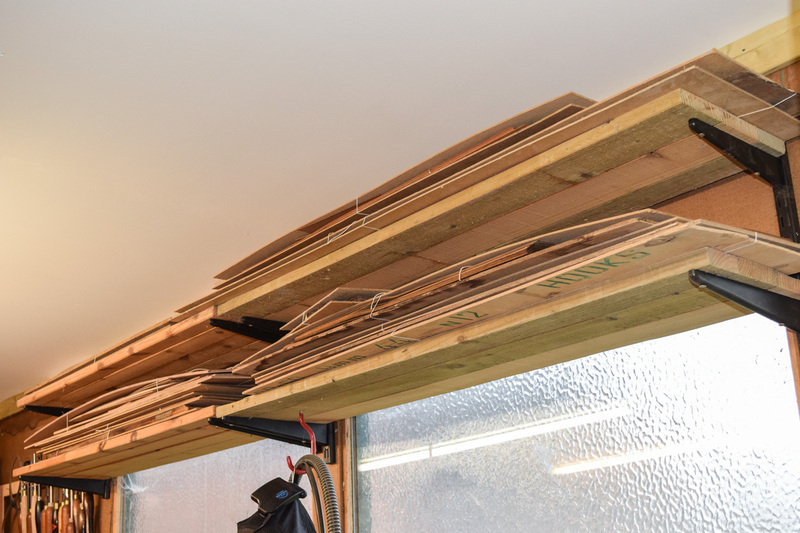 Timber storage is always a problem but if it’s racked out securely it has the added benefit of much easier access as well as reducing the footprint in the workshop. 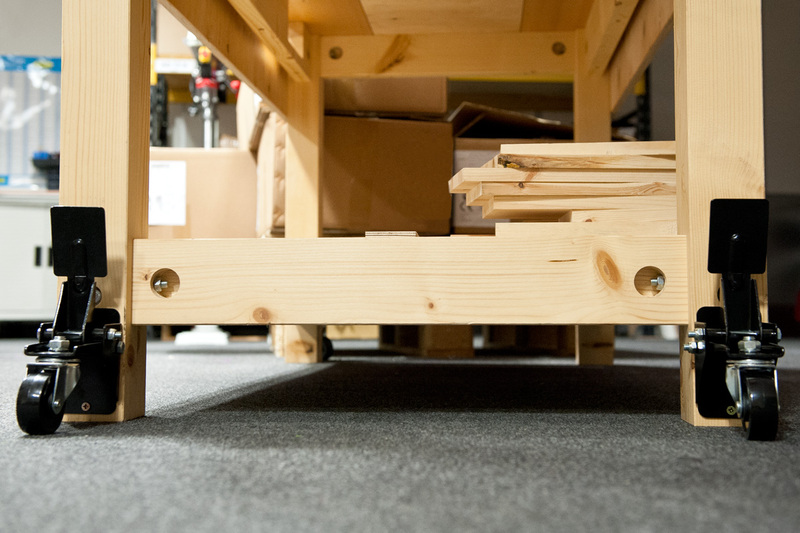 Man-made boards, particularly mdf, will deform and bend under their own weight, so should always be stored either vertically or horizontally in a purpose built rack. A thick 8×4’ sheet of mdf is extremely heavy to manhandle around the workshop and if they’re lifted on a daily basis, a Roughneck Gripper will prove invaluable. Mundane though it may appear, regular use of the humble dustpan and brush or vacuum extractor also helps to keep the workshop looking ship shape. Adequate lighting in the workplace is essential and goes a very long way to improving efficiency. In most workshops, natural daylight is enhanced indoors by overhead lighting, usually provided by fluorescent strip tubes. These provide a good level of background lighting, but quite often there’s a need for more localised illumination, perhaps for use on a bandsaw table or a maybe a portable work light to shine into the depths of a dark cupboard. Brighten up your day by viewing Axminster’s complete selection of lights! There’s no getting away from it; concrete is hard stuff and even harder on the legs, especially when you’ve had to do a full eight hours in the workshop. 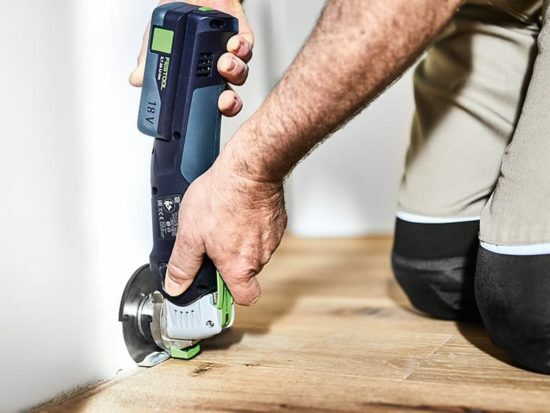 Unfortunately, most professional workshops are in buildings or units where the floor is concrete which is ideal for supporting heavy machinery, but not for the soles of your feet! There are several ways to improve the situation, one of which is to lay a separate wooden floor on top, but this is time consuming and quite expensive. The other option which is very successful is to wear a pair of safety work boots that have cushioned soles with the added advantage that the steel toe cap prevents damage to your feet should anything untoward fall on the boot. The final method is to lay anti-fatigue matting in areas of high footfall, such as in front of a workbench or particular machines that are used regularly. These 10mm thick interlocking rubber tiles provide a cushioned surface and so help to reduce the stress of standing for long periods on a hard surface. The American woodworker and author Chris Schwarz once said that “sharp fixes everything” and there has never been a truer statement in a workshop. Sharp does fix everything; but what do you use to get tools sharp? There are dozens of different ways to sharpen tools and every craftsman or woman will have their own particular method; it may be no better or worse than an alternative system, but the important factor is that it works for them. 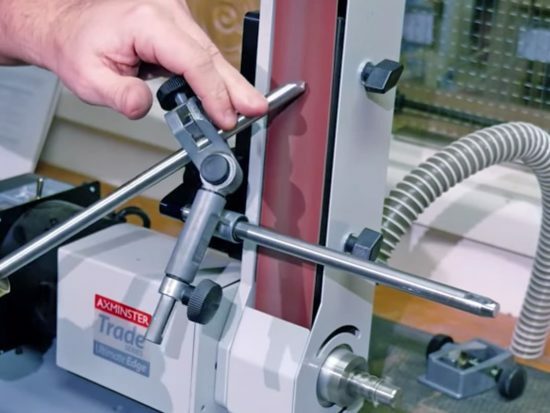 Of all the many ways to sharpen tools, one of the most popular is the Tormek T-8 Sharpening System which offers the ability to repeat the correct grinding angles every time it’s used. As the wheel runs in a water bath, there’s no danger of overheating the steel. In addition, there’s a large range of accessories for the machine(s) which will enable a very sharp edge to be obtained on almost any hand tool. Should the wood or metalworker prefer a dry running bench grinder, we have a very comprehensive selection, many of which can be used with appropriate accessories to make the sharpening process easier. At the bench, there a number of different sharpening systems, all of which can be used freehand or with a guide which guarantees that the honing angle can be repeated each time. The principal systems are the traditional Oilstones, Japanese Waterstones and diamond sharpening stones, each of which produce excellent results. 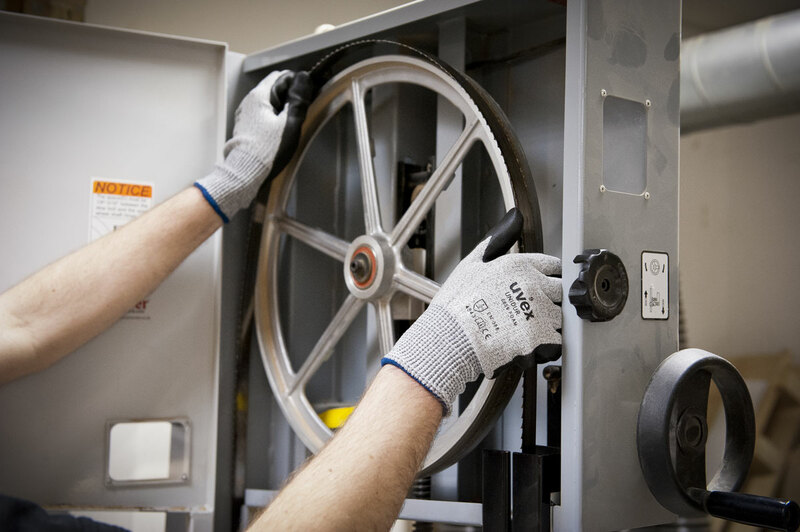 When circular saw blades become a little ‘tired’ after sustained use, all Axminster stores offer a competitive resharpening service, guaranteed to restore your treasured blades to ‘as new’ condition. Any workshop, be it hobbyist or trade, will usually need a fairly constant supply of consumables to work effectively. The lack of a particular item may not be of immediate concern to the hobbyist, but may be of critical importance to the professional, where constraints of time and money are always at the forefront. 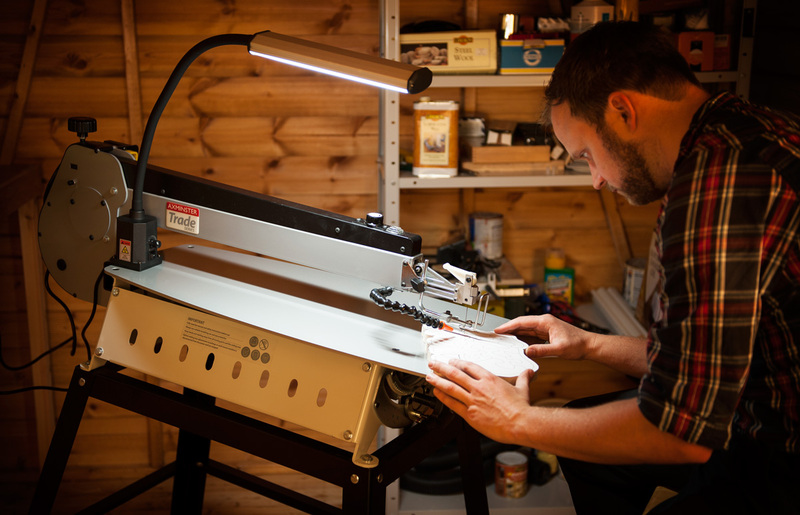 Items such as sandpaper, bandsaw blades, table saw blades, batteries, spindle moulder tooling, router cutters, glue, polish, nuts and bolts, nails, screws and other innumerable items all have their place in the pecking order. Each assumes its own priority depending on stock available in the workshop and the importance of it relative to the job. Run out of 30 x 5mm Torx screws or even a spare T20 bit to drive them and the job which should have been completed on Tuesday afternoon will now be delivered to the customer on Thursday! Unless you work entirely by hand (and many do), you’re bound to have some sort of machinery both to speed up the workflow and to take out the sheer hard grunt of manually preparing timber. This is especially pertinent in a professional trade workshop, where time is money. Apart from those considerations, using machinery generally means that work produced is far more accurate than it otherwise might be. Whatever machines are used, be they on a regular or part time basis, at some point they’re going to need routine preventative maintenance, which may be no more than minor adjustments to belts or guides, cleaning out any sawdust and the application of an appropriate lubricant, notwithstanding that a broken machine in a professional workshop is likely to be very expensive in ‘downtime’. 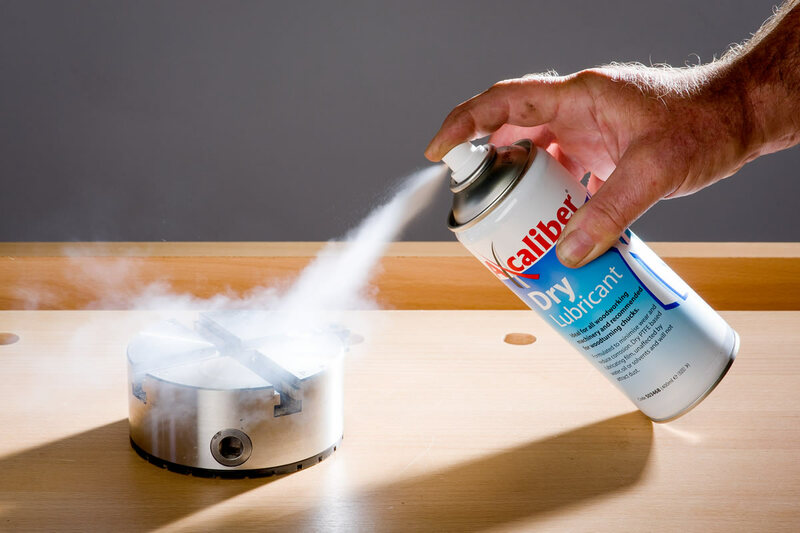 For most woodworking machinery a dry PTFE spray is the ideal lubricant, but we stock a complete range suitable for almost every conceivable application. To protect and lubricate cast iron surfaces against possible surface rust in less favourable working conditions, a coating of Axminster Machine Wax (or AxWax) is excellent. Should you be unlucky enough to experience the blight of a dreaded rust spot on your precious machinery or hand tools, Garriflex Blocks are also equally good at removing it and in addition, we also stock a very good range of products specifically intended to clean and protect all vulnerable materials from corrosion. A bench, or benches is an essential part of almost any workshop, as it’s the place where components are made and projects assembled. 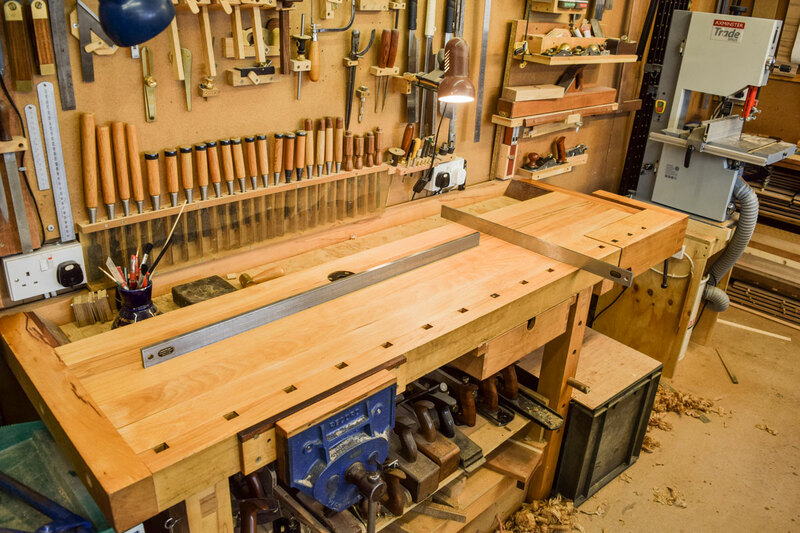 At its simplest, the workbench is a pretty simple affair; nothing more than a flat, stable surface and for many hobbies, an ordinary table top is perfectly adequate. It’s only when a more demanding task is attempted, such as planing timber, does the limit of the kitchen table become obvious. It soon becomes apparent that a much stronger, more rigid structure is required which will resist the forces acting on it, which if unchecked would soon tear the kitchen table apart. 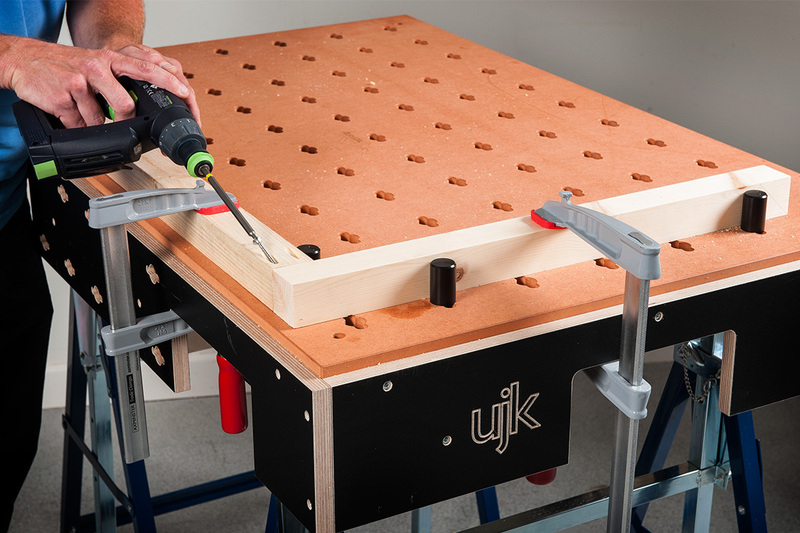 The workbench also has the advantage of acting as a clamping surface as it’s very easy to fit a vice and other types of clamping devices to make the process of holding and assembling components that much easier. 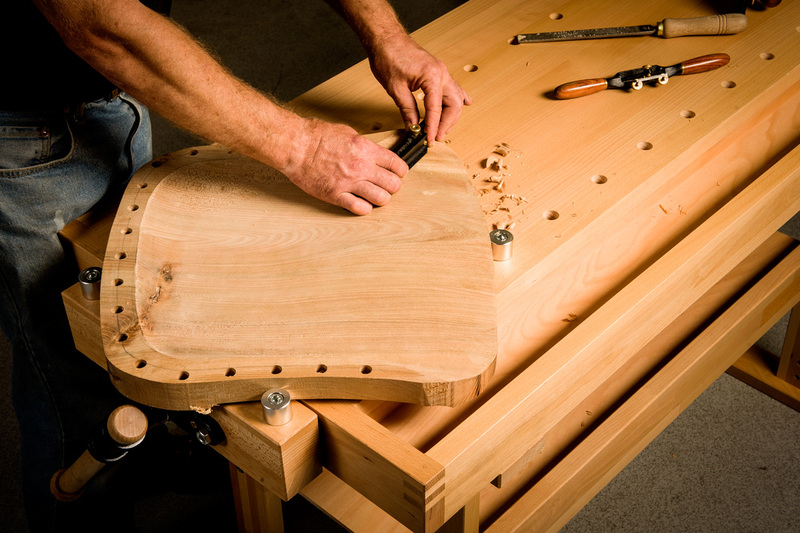 Benches for the weekend hobbyist are light duty as they’re not expected to take a huge amount of sustained and heavy use, but increasing commitment to woodworking in any of its forms may require something a little more robust. At Axminster, we supply a very comprehensive range of heavy and very heavy duty benches, which won’t move, rack or disintegrate under the most arduous working conditions. Choosing a heavy duty workbench is no light undertaking and we have recently published a guide outlining the desirable features. 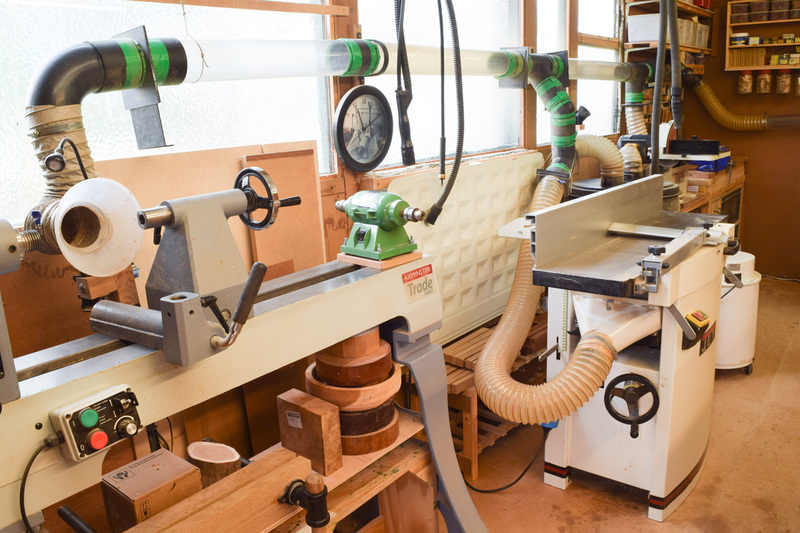 Workshops tend to be filled with large pieces of heavy machinery, benches as well as timber, both solid and board material; anything that makes life a little easier in moving it is to be welcomed and at the same time will add to the efficiency of the workshop in general. In a big, professional, trade workshop, machinery is usually large, extremely heavy and is positioned so that all who use it can obtain the maximum benefit. Casually moving around a panel saw weighing close to 600kg isn’t really any sort of practical proposition and moreover, machines of this nature are permanently connected to a steel dust extraction system. 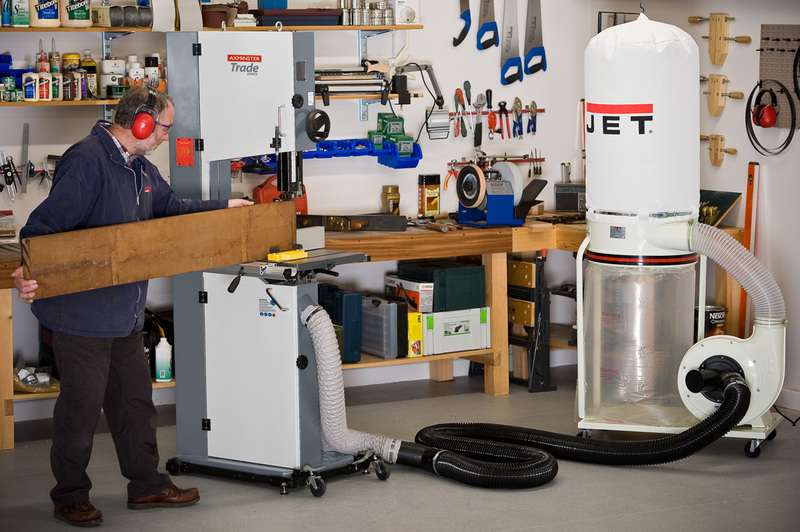 More compact machinery such as our Trade Series AT107PT Planer Thicknesser has the option of being positioned on a mobile base resulting in a more manageable arrangement in the smaller workshop and when so mounted, it should have a flexible dust extraction hose to allow freedom of movement. Being able to reposition machinery is a great help, but it’s also advantageous to be able to move heavy, solid boards of oak or beech, man-made materials and part completed projects around the workshop. In this instance, trucks and trolleys are invaluable; not only are they a great asset in moving material and equipment around, but there’s also less chance of an accident due to a poor lifting technique. 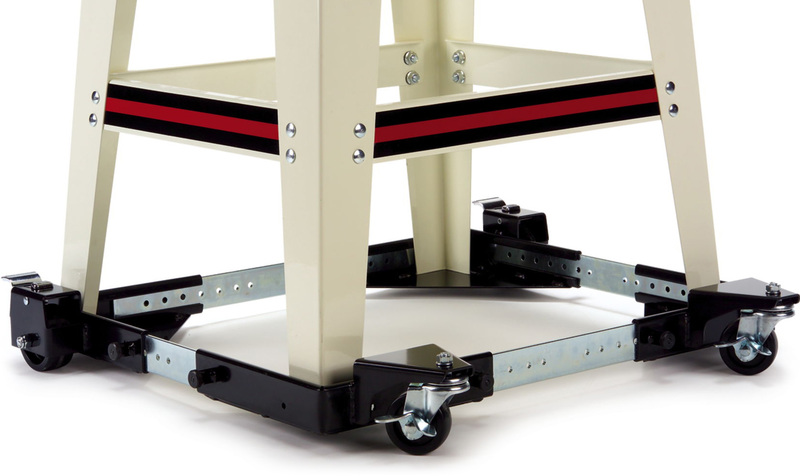 Where circumstances allow, it’s also possible for the tradesman or hobbyist to make their own custom-made trolleys or tables using our extensive range of wheels and castors. 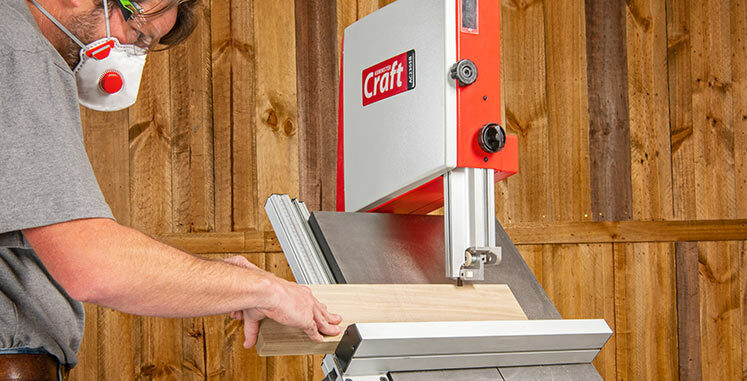 The final item, which without doubt increases efficiency in ‘the mobile workshop’, is a roller stand which can usually be found on the ‘out feed’ side of a planer thicknesser, table saw or bandsaw. It can be positioned to support any long or heavy piece of material when it’s inconvenient or extremely difficult to hold it in any other way. The strategies outlined here ought to provide a useful framework for the organisation of the workshop. 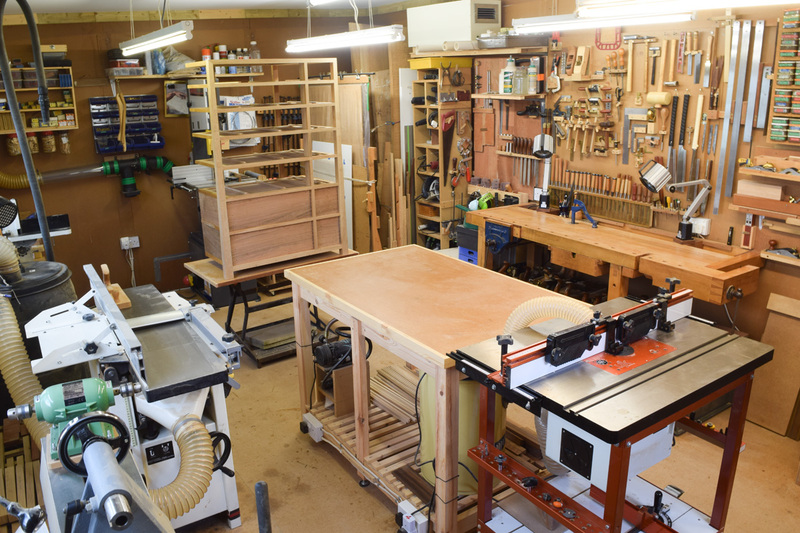 Whilst everyone works in a very different way, an efficient workshop is a goal to strive for as it provides more satisfying conditions in which to make your projects.